Felix Salten (September 6, 1869 – October 8, 1945) was an Austrian author and critic in Vienna. His most famous work is Bambi (1923). Felix Salten was born Siegmund Salzmann in Budapest, Hungary. When he was four weeks old, his family relocated to Vienna, Austria. When his father became bankrupt, the sixteen-year-old Salten had to quit school and begin working for an insurance agency. He also began submitting poems and book reviews to journals. He became part of the “Young Vienna” movement (Jung Wien) and soon received work as a full-time art and theatre critic. In 1900 he published his first collection of short stories. He was soon publishing, on an average, one book a year, of plays, short stories, novels, travel books, and essay collections. He also wrote for nearly all the major newspapers ofVienna. He wrote also film scripts and librettos for operettas. 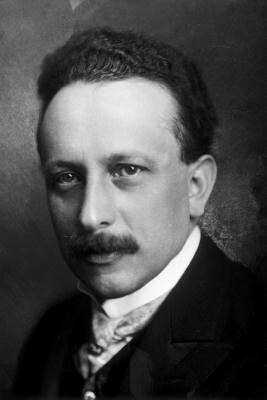 In 1927 he became president of the Austrian P.E.N. club as successor of Arthur Schnitzler. Felix Salten’s most famous work is Bambi (1923). 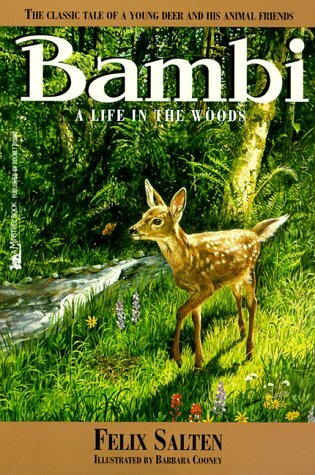 Bambi, a Life in the Woods, is a 1923 Austrian novel written by Felix Salten and published by Paul Zsolnay Verlag. The novel traces the life of Bambi, a male roe deer, from his birth through childhood, the loss of his mother, the finding of a mate, the lessons he learns from his father and experience about the dangers posed by human hunters in the forest. An English translation by Whittaker Chambers was published in North America by Simon & Schuster in 1928, and the novel has since been translated and published in over 20 languages around the world. 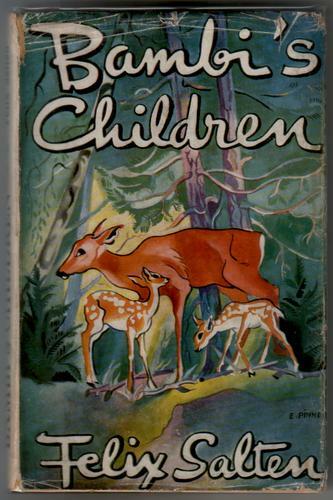 Salten released a sequel, Bambi’s Children, in 1939. Janet Schulman released a children’s picture book adaptation in 2000 that featured realistic oil-paintings and many of Salten’s original words. The novel was well received by critics and is considered a classic, as well as one of the first environmental novels ever published. In 1933, he sold the film rights to director Sidney Franklin for $1,000, and Franklin later transferred the rights to the Walt Disney Studios. It was adapted into a theatrical animated film, Bambi, by Disney in 1942. Life in Austria became perilous for a prominent Jew during the 1930s. Adolf Hitler had Salten’s books banned in 1936. Two years later, after Austria had become part of Germany, Salten moved to Zurich, Switzerland, where he lived until his death. He was married to the actress Ottilie Metzl and had two children. Felix Salten’s novel, Bambi is a fascinating and informative textbook of jungle warfare and survival techniques. It is also a powerful political allegory on the treatment of Jews in Europe, as can be deduced from the fact that it was subsequently banned in Nazi Germany in 1936, due to it being considered an anti-Nazi work of fiction. Salten wrote another book based on the character Bambi, entitled Bambi’s Children: The Story of a Forest Family (1939). The sequel follows the lives of Bambi’s twin fawns as they grow from fawns through adulthood. Salten wrote the sequel while living in exile in Switzerland after being forced to flee Nazi occupied Austria as he was of Jewish heritage. Originally written in German, the novel was published in English in the United States in 1939 by Bobbs-Merrill. It was not published in Germany until the following year. Its language is gentler than that of Bambi, A Life in the Woods. Salten’s novels Perri (1938) and The Hound of Florence (1923) inspired the Disney films Perri (1957) and The Shaggy Dog (1959).